Finland is definitely a country a part of the scandinavian countries. No finnish band sounds like an other finnish one. And Funerary Bell makes no exception there. Deeply rooted in Black Metal spirit, the band gathers influences of bands from the 90’s, especially Mortuary Drape - and other Mediterranean black metal bands from that era (from Varathron to Blessed in Sin !) - that is more than an influence, and bands with sometimes some Heavy Metal accents, just like it can be heard in Grand Belial’s Key. Funerary Bell keeps an occult and esoteric aspect, faithful to tradition. 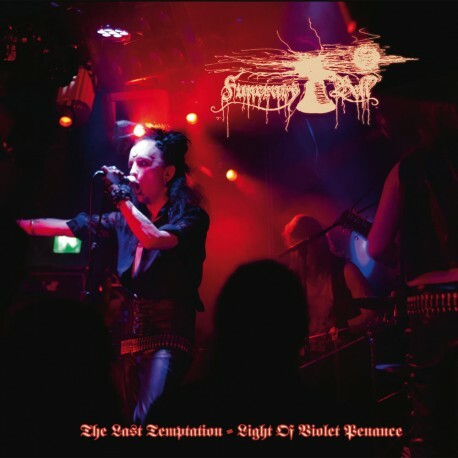 The Last Temptation – Light of violet Penance is a live ritual whose atmosphere is perfectly rendered, with the live energy and audible sounding, far from being boiled. A special concert for the band, which belongs now to their discography, as a complete full length. If that live show gathers songs from the band’s history, it’s because it was first intended to the last concert of the band, a last testimony before the programmed death of the vocalist Invoker of the Shadows. An antemortem epitaph he decided and for which he has painted the cover with his own blood, drawing like there were stabbing on the canvas. The Last Temptation – Light of violet Penance is now released on Forgotten Wisdom Prod in its most accomplished form, in a slipcase CD, unveiling its artwork only to the eyes of the hierophants.